Today the problem of prevention and treatment of gastropathy associated with nonsteroidal anti-inflammatory drugs has not lost its relevance. In order to reduce the ulcerogenicity of non-steroidal anti-inflammatory drugs, it is classically accepted to supplement the therapy scheme with preparations of other pharmacological groups — antacids, alginates, M-cholinoblockers, gastrin receptor antagonists, H2-histamine blockers, proton pump inhibitors, synthetic analogues of prostaglandins or stimulators of their synthesis, reparants, gastroprotectors. Nowadays, it was suggested I was suggested the use of drugs which have pharmacological properties polyvector (vinboron, thiotriazoline et al.). Also, the scientists started of combined preparations “NSAIDs + drugs other pharmacological groups” — indotril (indomethacin + thiotriazoline) diklokor (diclofenac + quercetin) Artrotek (diclofenac sodium + misoprostol) dueksis (ibuprofen + famotidine) vimovo (naproxen + esomeprazole) aksorid (ketoprofen + omeprazole) tioaspekard (thiotriazoline + ACK) aspifat (ACK + sucralfate), Alka-Zelttser® (ACK + sodium bicarbonate), and others. The second direction is preventing and improving NSAID gastrotoxicity protrudes improving existing non-steroidal drugs – modification of gaseous molecules (NO, H2S, CO), amino acid derivatives, modulators “effector function” of afferent terminals n. vagus (amtolmetina guatsil) то pairing with nanoparticles biometals (Zn-ibuprofen, Zn-naproxen, Zn-indomethacin). nonsteroidal anti-inflammatory drugs, ulcerogenicity, NSAIDs-gastropathy, proton pump inhibitors. Гладких Ф.В. Характеристика механизмов антиульцерогенного действия агонистов ванилоидных рецепторов (TRPV1) на модели гастропатии, индуцированной ацетилсалициловой кислотой // Фармация и фармакология. – 2017. – Т. 5. – № 3. – С. 283–301. [Hladkykh FV. The characteristics of the mechanisms of anti-ulcerogenic action of vanilloid receptor agonists (TRPV1) on the model of gastropathy induced by acetylsalicylic acid. Pharmacy and pharmacology. 2017;5(3):283-301. (In Russ.)]. doi: 10.19163/2307-9266-2017-5-3-283-301. Гладких Ф.В., Степанюк Н.Г. Сучасні шляхи послаблення ульцерогенності нестероїдних протизапальних засобів: досягнення, невирішені питання та шляхи оптимізації // Запорожский медицинский журнал. – 2014. – № 2 (83). – С. 82–86. [Hladkykh FV, Stepanyuk NH. New approaches to reduce ulcerogenity of nonsteroidal anti-infl ammatory drugs: achievements, unsolved issues and ways to optimize. Zaporozhye Medical Journal. 2014;2(83):82-86. (In Ukr.)]. doi: 10.14739/2310-1210.2014.2.25437. Каратеев А.Е. Шесть ножей в спину ингибиторам протонной помпы // Научно-практическая ревматология. – 2013. – № 51 (3). – С. 332–340. [Karateev AE. Six knives in the back of the inhibitors of the proton pump. Scientific and practical rheumatology. 2013;51(3):332-340. (In Russ.)]. doi: 10.14412/1995-4484-2013-1509. Скоромец А.А., Баранцевич Е.Р., Амелин А.В., и др. Протокол совета экспертов Северо-Западного федерального округа Российской Федерации по вопросам рационального подхода в лечении болевого синдрома и воспаления в неврологии // Медицинский совет. – 2015. – № 7. – С. 51–52. [Amelin AV, Afanasiev VV, Starikov PV, et al. Protocol of the Council of Experts of the North-West Federal District of the Russian Federation on the rational approach in the treatment of pain syndrome and inflammation in neurology. Medical advice. 2015;(7):51-052. (In Russ.)]. doi: 10.21518/2079-701X-2015-7-51-53. Andersen JT, Mastrogiannis D, Andersen NL, et al. Diclofenac/misoprostol during early pregnancy and the risk of miscarriage: a Danish nationwide cohort study. Arch Gynecol Obstet. 2016;294(2):245-250. doi: 10.1007/s00404-015-3966-9. Barinov E, Sulaieva O, Lyakch Y, et al. Platelet aggregation measurement for assessment of hemostasis failure mechanisms in patients with gastroduodenal ulcer bleeding. Clin Exp Gastroenterol. 2013;6:139-148. doi: 10.2147/CEG.S45685. Blackler RW, Gemici B, Manko A, Wallace JL. NSAID-gastroenteropathy: new aspects of pathogenesis and prevention. Curr Opin Pharmacol. 2014;11:11-16. doi: 10.1016/j.coph.2014.05.008. Cot GA, Howden CW. Potential adverse effects of proton pump inhibitors. Curr Gastroenterol Rep. 2008;10(3):208-214. doi: 10.1097/MOG.0b013e328358d5b9. D’Ayala GG, Malinconico M, Laurienzo P. Marine derived polysaccharides for biomedical applications: chemical modification approaches. Molecules. 2008;13:2069-2106. doi: 10.3390/molecules13092069. Dillon CT, Hambley TW, Kennedy BJ, et al. Gastrointestinaltoxicity, antiinflammatory activity, and superoxide dismutaseactivity of copper and zinc complexes of the antiinflammatorydrug indomethacin. Chem Res Toxicol. 2003;16:28-37. doi: 10.1021/tx020078o. Drepper M, Spahr L, Frossard J. Clopidogrel and proton pump inhibitors-where do we stand in 2012? World J Gastroenterol. 2012;18:2161-71. doi: 10.3748/wjg.v18.i18.2161. Fornai M, Colucci R, Antonioli L. Effects of esomeprazole on healing of nonsteroidal anti-inflammatory drug (NSAID)-induced gastric ulcers in the presence of a continued NSAID treatment: Characterization of molecular mechanisms. Pharmacol Res. 2011;63(1):59-67. doi: 10.1016/j.phrs.2010.10.013. Garg A, Shoeb A, Subramanya Moodahadu L, et al. Amtolmetin: a reappraisal of NSAID with gastroprotection. Hindawi Publishing Corporation Arthritis. 2016; Article ID7103705:1-5. doi: 10.1155/2016/7103705. Gemici B, Elsheikh W, Feitosa KB, et al. H2S-releasing drugs: anti-inflammatory, cytoprotective and chemopreventative potential. Nitric Oxide. 2015;46:25-31. doi: 10.1016/j.niox.2014.11.010. Grosskopf F. Carbenoxolon in treatment of stomach ulcer, duodenal ulcer and ulcerative colitis. Zeitschrift für Allgemeinmedizin. 1972;48(30):1411-4114. Holzer P. Neural emergency system in the stomach. Gastroenterology. 1998;114:823-839. doi: 10.1016/S0016-5085(98)70597-9. Jarosz M, Szkaradek N, Marona H, et al. Evaluation of anti-inflammatory and ulcerogenic potential of zinc-ibuprofen and zinc-naproxen complexes in rats. Inflammopharmacology. 2017;25(6):653-663. doi: 10.1007/s10787-017-0361-0. Magierowski M, Magierowska K, Kwiecien S, Brzozowski T. Gaseous mediators nitric oxide and hydrogen sulfide in the mechanism of gastrointestinal integrity, protection and ulcer healing. Molecules. 2015;20(5):9099-123. doi: 10.3390/molecules20059099. Malagelada J, De la Serna R, Dammann H. Sucralfate therapy in NSAID bleeding gastropathy. Clin Gastroenterol Hepatol. 2003;1:51-56. Moncada S, Higgs EA. The discovery of nitric oxide and its role in vascular biology. Br J Pharmacol. 2006;147(Suppl1):193-201. Motta JP, Flannigan KL, Agbor TA, et al. Hydrogen sulfide protects from colitis and restores intestinal microbiota biofilm and mucus production. Inflamm Bowel Dis. 2015;21(5):1006-17. doi: 10.1097/MIB.0000000000000345. Mozsik G. Capsaicin as a new orally applicable gastroprotective and therapeutic drug alone or in combination in human healthy subjects and in patients. Prog Drug Res. 2014;68:209-258. doi: 10.1007/978-3-0348-0828-69. Mozsik G, Omar Abdel-Salam ME, Takeuchi K. Capsaicin – sensitive neural afferentation and the gastrointestinal tract: from bench to bedside. InTech, Croatia. 2014. doi: 10.5772/57289. Norgard N, Mathews K, Wall G. Drug-drug interaction between clopidogrel and the proton pump inhibitors. Ann Pharmacother. 2009;43:1266-74. doi: 10.1345/aph.1M051. Perez-Aisa A, Castro M, Munoz M. Risk of upper and lower gastrointestinal bleeding in patients taking nonsteroidal anti-inflammatory drugs, antiplatelet agents, or anticoagulants. Clin Gastroenterol Hepatol. 2015;13:906-912. doi: 10.1016/j.cgh.2014.11.007. Rasulov MM, Kuznetsov IG, Slutskii LI. Solcoseryl: Ulcerostatic effect and its possible mechanisms. Bull Exp Biol Med. 1993;115(1):52-54. doi: 10.1007/BF00846359. Sanchez-Fidalgo S, Martin-Lacave I, Illanes M, et al. Administration of L-arginine reduces the delay of the healing process caused by ibuprofen. Implication of COX and growth factors expression. Histol Histopathol. 2005;20(2):437-447. doi: 10.14670/HH-20.437. Satoh H, Takeuchi K. Management of NSAID/aspirin-induced small intestinal damage by GI-sparing NSAIDs, anti-ulcer drugs and food constituents. Current Medicinal Chemistry. 2012;19(1):82-89. Scheiman J, Hindley C. Strategies to optimize treatment with NSAIDs in patients at risk for gastrointestinal and cardiovascular adverse events. Clin Ther. 2010. doi: 10.1016/j.clinthera.2010.04.009. Shaikh Omar OA, Bukhari HM, El Sawy NA. Efficacy of capsicum frutescens in curing the peptic ulcer. International Journal of Pure and Applied Sciences and Technology. 2013;15(1):43-54. Shih AR, Misdraji J. Drug-induced pathology of the upper gastrointestinal tract. Diagnostic Histopathology. 2017;23(2):84-95. doi: 10.1016/j.mpdhp.2017.03.002. Sibbing D, Morath T, Stegherr J, et al. Impact of proton pump inhibitors on the antiplatelet effects of clopidogrel. Thromb Haemost. 2009;101:714-19. Singh DP, Borse SP, Nivsarkar M. Co-administration of quercetin with pantoprazole sodium prevents NSAID-induced severe gastroenteropathic damage efficiently: Evidence from a preclinical study in rats. Exp Toxicol Pathol. 2017;69(1):17-26. doi: 10.1016/j.etp.2016.10.004. Small D, Farid N, Payne C, et al. Effects of the proton pump inhibitor lansoprazole on the pharmacokinetics and pharmacodynamics of prasugrel and clopidogrel. J Clin Pharmacol. 2008;48:475-84. doi: 10.1177/0091270008315310. Sulaieva O, Obraztsova N. Role of vagus nerve in gastroduodenal adaptation and cytoprotection. American Journal of Clinical and Experimental Medicine. 2014;2(2):22-27. doi: 10.11648/j.ajcem.20140202.13. Sun K, Shi Y, Wang X, & Li Z. Sorption and retention of diclofenac on zeolite in the presence of cationic surfactant. Journal of hazardous materials. 2017;323:584-592. doi: 10.1016/j.jhazmat.2016.08.026. 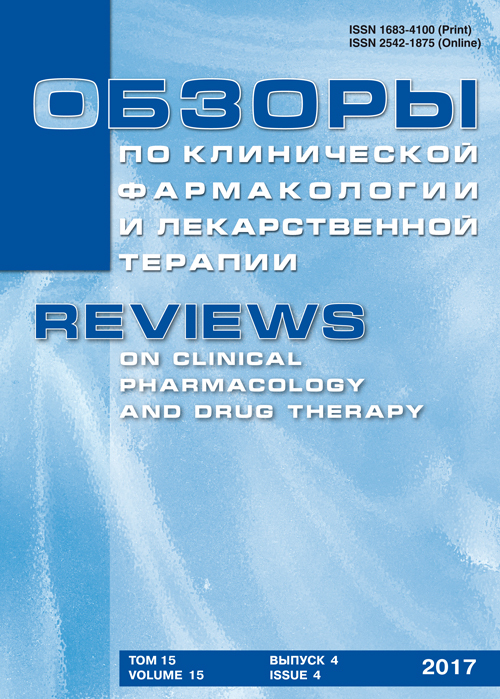 Tkach S, Onischuk L, Balabantseva A. Efficacy and safety of Rebamipide in prevention of NSAID-gastropathy. International Journal of BioMedicine. 2017;7(1):57-59. doi: 10.21103/Article7(1)_ShC1. Wallace JL, Caliendo G, Santagada V, Cirino G. Markedly reduced toxicity of a hydrogen sulphide-releasing derivative of naproxen (ATB-346). Br J Pharmacol. 2010;159:1236-46. doi: 10.1111/j.1476-5381.2009.00611.x. Wallace JL, Caliendo G, Santagada V, et al. Gastrointestinal safety and anti-inflammatory effects of a hydrogen sulfide-releasing diclofenac derivative in the rat. Gastroenterology. 2007;132:261-271. Wallace JL, Wang R. Hydrogen sulfide-based therapeutics: exploiting a unique but ubiquitous gasotransmitter. Nat Rev Drug Discov. 2015;14:329-345. doi: 10.1038/nrd4433. Zanardo RC, Brancaleone V, Distrutti E, et al. Hydrogen sulfide is an endogenous modulator of leukocyte-mediated inflammation. FASEB J. 2006;20:2118-2120. Zanellato I, Bonarrigo I, Ravera M, et al. The hexacarbonyldicobalt derivative of aspirin acts as a CO-releasing NSAID on malignant mesothelioma cells. Metallomics. 2013;5:1604-13. doi: 10.1039/c3mt00117b. Zayachkivska OS, Konturek SJ, Drozdowicz D, et al. Gastroprotective effects of flavonoids in plant extracts. Journal of Physiology and Pharmacology. Supplement. 2005;56(1):219-231. PMID: 15800396. Zupanets IA, Shebeko SK, Popov OS, Shalamay AS. Diclocor is superior to diclofenac sodium and quercetin in normalizing biochemical parameters in rats with collagen-induced ostheoarthritis. Inflammopharmacology. 2016;24(1):53-57. doi: 10.1007/s10787-015-0258-8. Copyright (c) 2017 Hladkykh F.V.